Camels in Monaco! 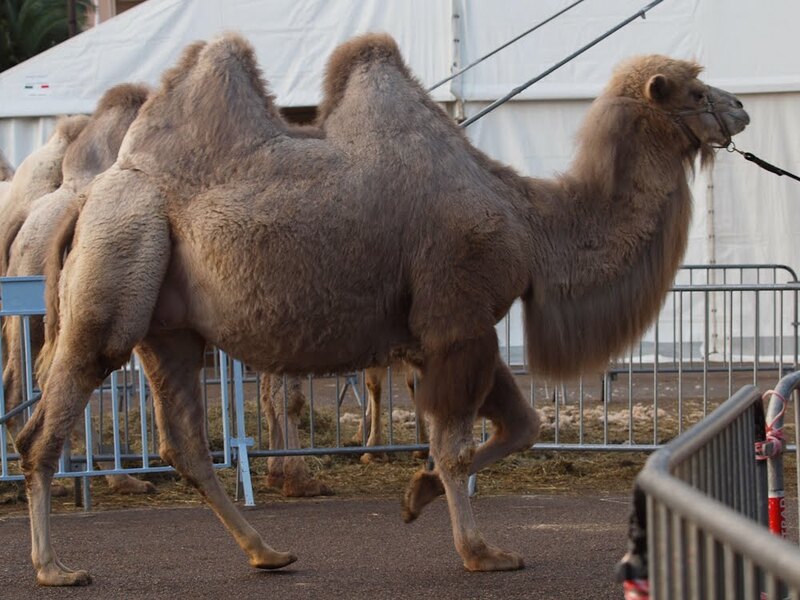 One of the acts appearing in the Circus this year is this troup of camels - they have two humps. 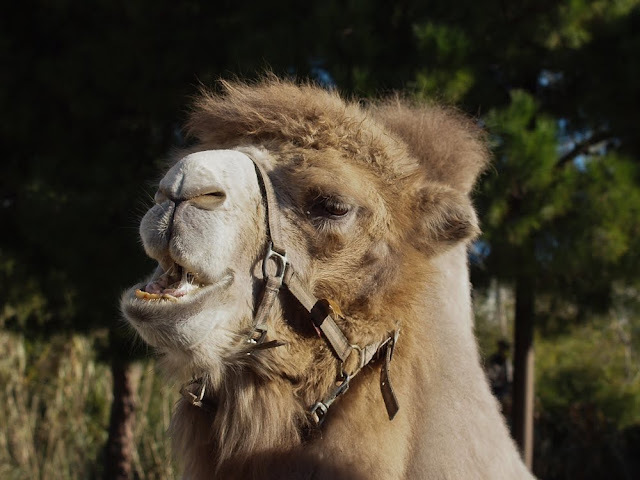 Apparently the two hump camels are less common than the one hump ones. Take a look at the one below - you've not want him to kiss you, would you? Great shots -- a face only a mother could love! These are wonderfully detailed photos. I feel as though I could reach out and touch the camels, although that might not be too wise. Now this really does please me. His hair looks softer and better groomed than the camels I have seen and ridden in places like Egypt and Jordan. 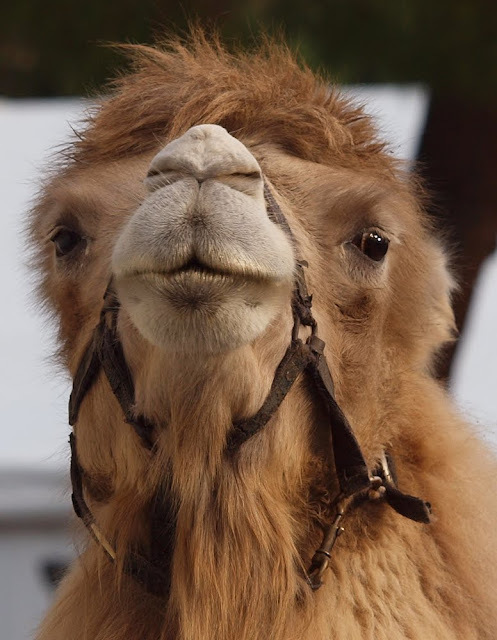 These camels look well cared for. The top photo looks like he's sweetly puckered up for a kiss. The bottom photo would have me backing away I'm afraid. LOVE that top shot, the close-up! Such an expressive face!